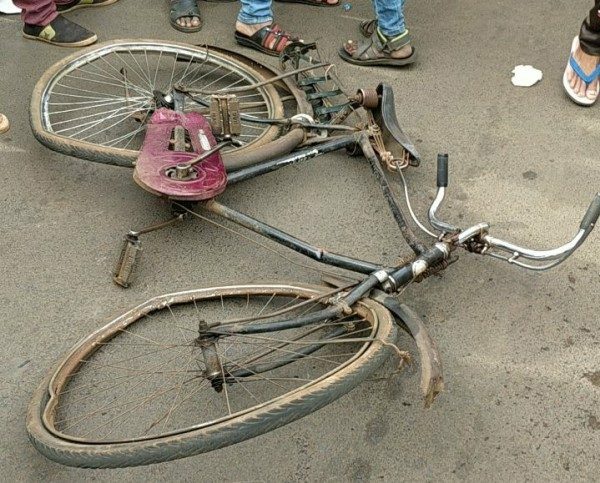 One person on cycle feared dead on the spot near Basveshwar Circle. The deceased is identified as Gopal Patil (55) from Kore Galli Incident occurred at around 4 PM. The Basveshwar Circle is not yet redesigned after the Mahatma Phule road was widened and it is a mess to cross this circle. Signal ka hona zaroori hai. kya hamaari baat koi sunta bhi hai? They will install after some one from dies from any ministers, police, or VIP family member die in accident. Traffic Police should install Signal at the Circle or provide a traffic police to guide the traffic after all Belagavi is going to be a smart city. Really its horrible to pass from that circle… When they insert signal at baseveshwara circle and rpd ….